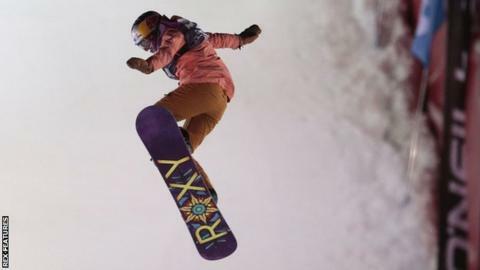 British snowboarder Katie Ormerod has claimed a bronze medal in slopestyle at the X Games. She scored 80.33 with winner Julia Marino well ahead on 94.66. It was her second appearance at the invitational event for the world's top freestyle skiers and snowboarders in Aspen, Colorado. In the ski slopestyle, fellow Briton James Woods missed out on a medal by 0.34 points after he registered a score of 91.66. Norwegian Oystein Braaten took gold with 94.33. American McRae Williams was second with Alex Beaulieu-Marchand of Canada third.